September 16, 2016 – FCA Australia has today confirmed further performance specifications for Australia’s ultimate performance roadster, the Abarth 124 Spider, ahead of its arrival in October. Offering best-in-class power and performance combined with stunning Italian design, the Abarth 124 Spider is designed and built for thrills, with its four-cylinder turbocharged 1.4 Turbo engine producing an unrivalled 125kW @ 5500rpm and 250Nm @ 2500rpm, paired with a choice of a six-speed manual or six-speed automatic gearbox with paddle shifters. Built with a pure performance focus, the 2017 Abarth 124 Spider arrives with a comprehensive list of standard performance components; including a mechanical limited-slip differential, sport suspension and Sport Mode selector as standard. 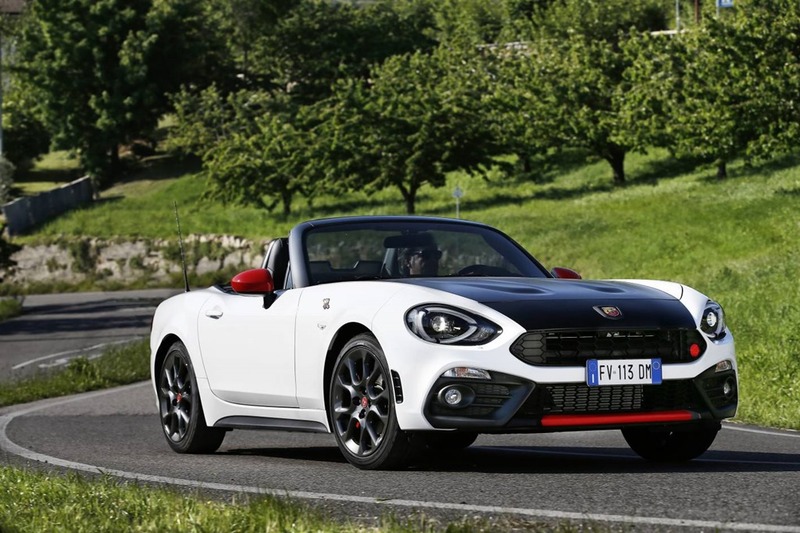 The Abarth 124 Spider also arrives with standard Brembo brakes and Bilstein shock absorbers, along with leather-and-Alcantara sports seats. And to ensure that iconic Abarth soundtrack accompanies every drive, the 124 Spider is equipped with a chrome quad-tip sports exhaust as standard. The Abarth 124 Spider has been engineered to offer drivers responsive handling and an excellent power-to-weight ratio in a robust rear-wheel-drive package. The 2017 Abarth 124 Spider features the proven turbocharged 1.4-litre MultiAir four-cylinder engine, generating 125kW @ 5500rpm and 250Nm @ 2500rpm, and is paired with either a six-speed manual transmission or a six-speed automatic transmission with paddle shifters. The Abarth-exclusive Sport Mode changes the calibrations of the engine, automatic transmission, electric power steering and dynamic stability control system to ensure a sporty, responsive and performance-oriented drive experience. A mechanical limited-slip differential, featuring a low torque bias ratio, provides improved traction and handling, as well as improved launch performance and power delivery during cornering. The Abarth’s unique sport suspension includes mono-tube Bilstein front and rear shock absorbers for increased traction and more precise handling. The as-standard Brembo braking system offers monoblock aluminium calipers with four pistons, allowing for unparalleled braking performance. 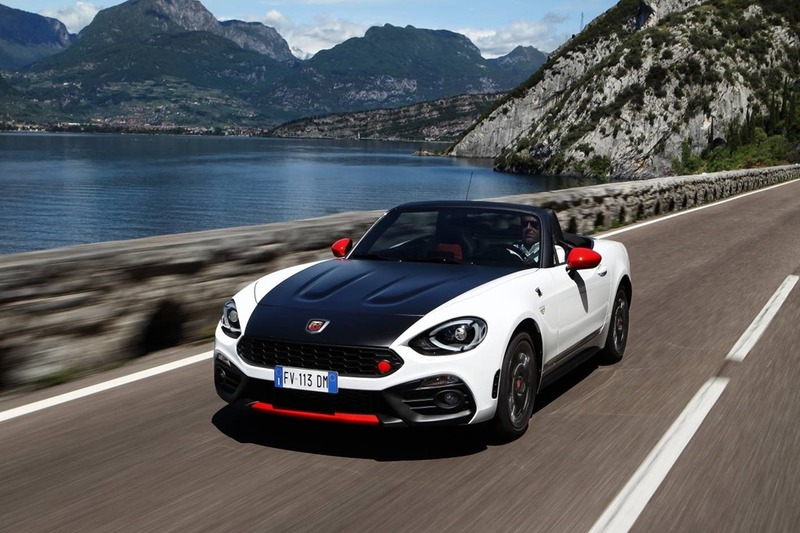 The Abarth 124 spider creates a new benchmark in the roadster segment. Much of the weight is concentrated between the axles and the engine is installed behind the front axle to guarantee agility and superior driving feel. Sophisticated mechanicals and the use of special materials have contained the weight to just 1,060 kilograms, which results in a weight-to-power ratio of 6.2 kg/HP, the best in its category, and perfect 50/50 weight distribution in running order, which translates to great agility and performance. The suspension of the Abarth 124 Spider has a double-wishbone layout in front and a five-link set up in the rear, specifically tuned for greater braking and cornering stability. “Abarth by Bilstein” dampers, together with stiffened anti-roll bars, provide ultimate handling and driving comfort. The Abarth dynamic vehicle set-up ensures customers can get true driving pleasure out of the rear-wheel drivetrain. The Brembo braking system, features monoblock aluminium front calipers with four pistons, improving braking effectiveness and guaranteeing very short braking distances, and excellent resistance to brake fade. 100km/h to be achieved in only 6.8 seconds. A sports exhaust is standard equipment and can be upgraded with an optional dual-mode Monza exhaust for even greater auditory pleasure. The Abarth 124 Spider is available with a six-speed manual or a six-speed automatic gearbox. The first is characterised by quick and accurate shifting with a short-throw, direct lever. The six-speed automatic gearbox is the result of careful tuning to exploit all the engine torque, conveying genuine race sensations. Using the lever or the paddles behind the steering wheel, shifting is extremely fast and the performance of the car is boosted even further by setting “Sport” mode on the driving mode selector. 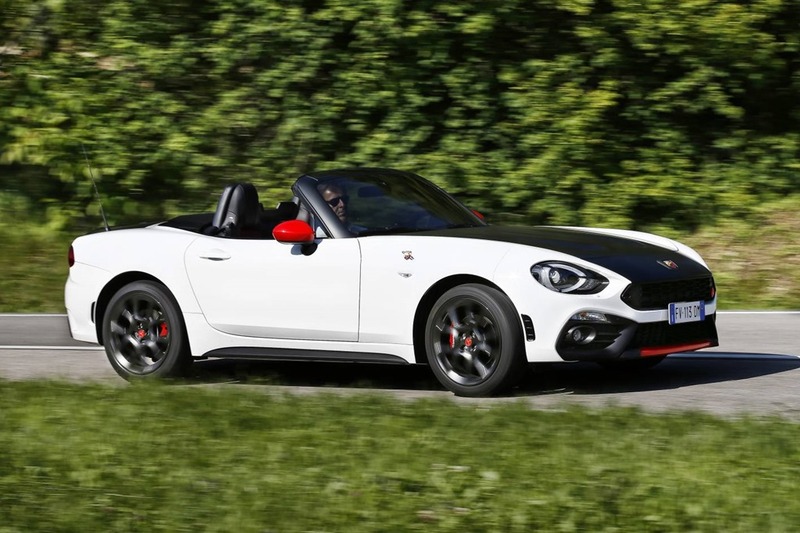 The Abarth 124 Spider is equipped with state-of-the-art electronic devices and active safety features to ensure the Abarth provides a proper race car feeling. When driving on track, the new 124 Spider lets the driver disengage the electronic controls to experience the perfect mechanical balance and linear engine response – the trademarks of a genuine rear-wheel drive performance car. The Abarth 124 Spider will be on sale in all Australian dealerships from Friday the 7th of October.